Enter the mind of Jonathan Goldstein. It's a nice place to visit, but you wouldn't want to live there. Part monologue and part telephone conversation, WireTap ushers you into the endearingly odd, funny universe of Jonathan's friends and family. The Montreal Gazette calls the show "something between borscht-belt comedy and Franz Kafka" and the Toronto Star describes it as "[pitting] the absurd against the plausible. The sense is of a world not completely unlike our own that runs parallel... conversation, storytelling and introspection, culled from equal parts real-world experience and the warp of Goldstein's imagination." 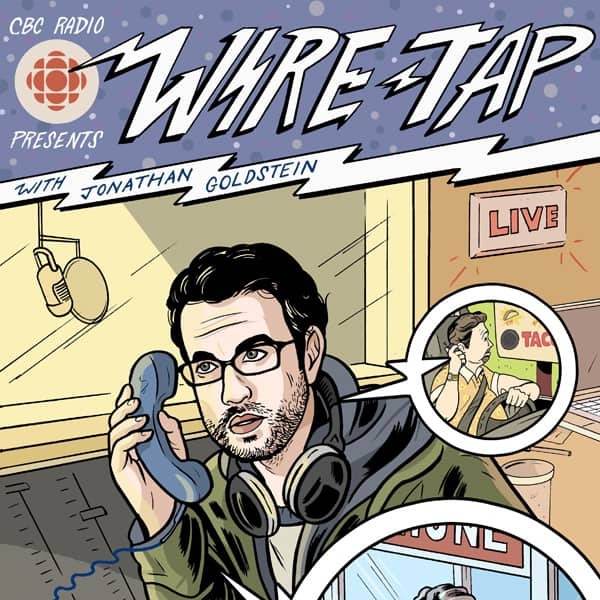 Wire Tap was awarded the Gold World Medal for Best Regularly Scheduled Comedy Program at The New York Festivals in 2006.